More than 50 years after the passage of the Fair Housing Act, what would it take to meaningfully reduce residential segregation and/or to mitigate its negative consequences in the United States? 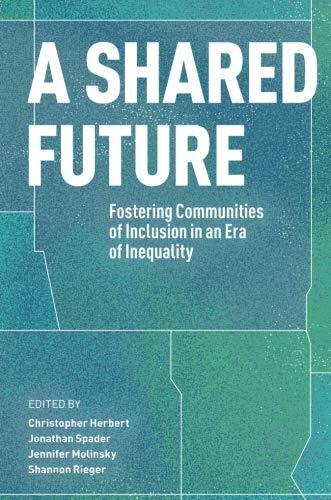 In this volume, leading academics, practitioners, and policymakers grapple with this question, examining different aspects of the complex and deeply rooted problem of residential segregation and proposing contrete steps that could achieve meaningful change withing the next ten to fifteen years. DOWNLOAD THE FULL BOOK PDF or the individual chapters below. PART 2: What would it take to promote residential choices that result in greater integration? Promoting Integrative Residential Choices: What Would It Take? PART 3: What would it take to make new and remake old neighborhoods so that regions move decisively toward integration? PART 4: What would it take for HUD's AFFH rule to meaningfully increase inclusion? PART 5: What would it take for housing subsidies to overcome affordability barriers to inclusion in all neighborhoods? PART 6: What would it take for cities experiencing gentrification pressures to foster inclusion rather than replacement? PART 7: What would it take to foster residential outcomes that support school integration, and vice versa?